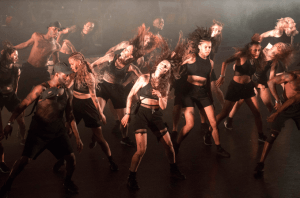 Fif­teen years in the game and Jonzi D con­tin­ues to innov­ate, cul­tiv­ate and of course break the con­ven­tions of what we per­ceive as Hip Hop Theatre. This year’s Break­in’ Con­ven­tion brought Break­dance from Jamaica, Pop­ping from the USA and work from the 15 year strong Jazz Re:freshed. Jazz Re:freshed are also known for break­ing the con­ven­tions of what we know jazz music to be. 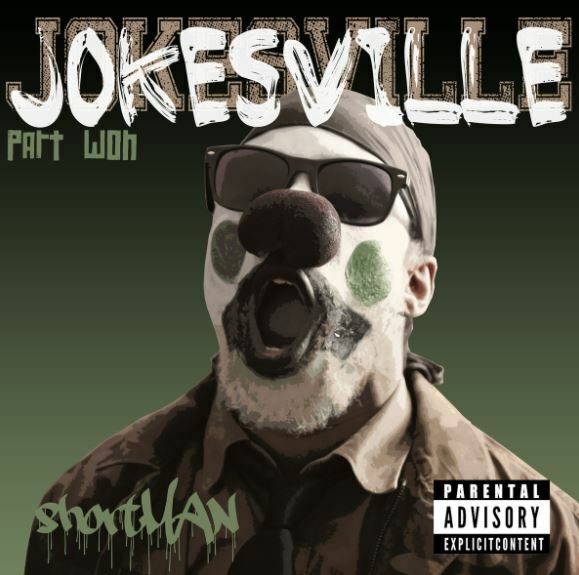 Once again this year I had the priv­ilege of wit­ness­ing his­tory tak­ing place. The first half provided three elec­tric and eclectic UK game changers. Fuse 596 opened the first night of the fest­ival with funky fresh house grooves that set the tone for an incred­ible night of artist­ic excel­lence. They brought a joy­ous inter­play of tech­nic­al foot­work and indi­vidu­al freedom that only seasoned artists can carry. House Of Abso­lute provided stun­ning vocals, mes­mer­ising Waack­ing cho­reo­graphy and a won­der­ful Krump solo per­formed by Saskia Hor­ton. Hor­ton used a micro­phone to echo an ima­gined vocal expres­sion of her sharp and dis­join­ted vis­cer­al move­ment. 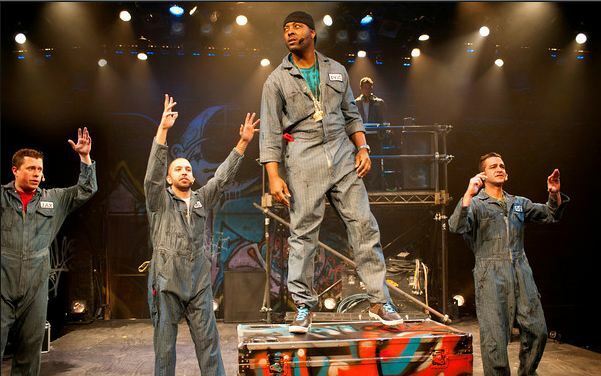 This was beau­ti­ful touch and a great illus­tra­tion of how Hip Hop styles, as well as con­tem­por­ary tech­niques, can launch new cho­reo­graph­ic play with­in theatre. Bonet­ics con­tor­ted and flexed his lengthy limbs intric­ately with a rhyth­mic­ally com­plex bone break­ing solo cho­reo­graphy. The per­form­ance was attacked with fear­less­ness. An incred­ible dis­play of an almost unreal phys­ic­al­ity and move­ment vocab­u­lary. Amala Dian­or brought a real sense of poetry to the stage. 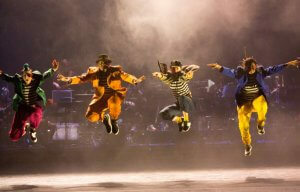 The trio weaved, threaded and froze togeth­er in this con­tem­por­ary approach to Break­dance and Floor­work. All three had a unique play between vig­or and raw­ness, effort­less­ness and com­plex­ity. 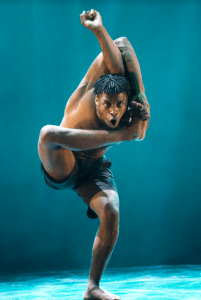 Extreme Push­ers from Jamaica showed us the kings of the dance­hall. The b-boys gave us energy, spon­taneity and most import­antly insight into the Hip Hop scene in Jamaica, which rarely gains the same vis­ib­il­ity as Reg­gae or Dance­hall in terms of cul­tur­al con­text. It was incred­ibly refresh­ing, espe­cially as it was their first per­form­ance abroad. Guin­ness world record hold­er MC Super­nat­ur­al and beat box­er Hob­bit gave what could have pos­sibly been the best end to a first half of a fest I’ve seen. Super­nat­ur­al, renowned for the second longest con­tinu­ous free­style rap (9 hours and 15 minutes), rapped of the top off the dome to whatever item was given to him by the audi­ence mem­bers dan­cing along in the pit. He fol­lowed with impres­sions of Hip Hop legends Slick Rick the Ruler, Busta Rhymes and Notori­ous BIG. Again per­fect illus­tra­tions of how Hip Hop lives so seam­lessly in the theatre. This year, BC blessed avid fans with the same bill for the second half for all three, fest­ive nights. It opened with a 15 piece Son­ic Orches­tra play­ing a mag­ni­fi­cent score care­fully craf­ted by sax­o­phon­ist Jason Yarde. The Lock­smiths emerged from the smoke in this awe­some slow motion syn­chron­ised line up, each indi­vidu­ally high­light­ing a dif­fer­ent instru­ment with effort­less rolls and locks. It was cine­mat­ic, artic­u­late and in my opin­ion, com­pletely stole the show. The Mas­ter of Cere­mon­ies this time around, announced his own per­form­ance, ‘This will start with an Afric­an pro­verb and end with some Shakespeare’. 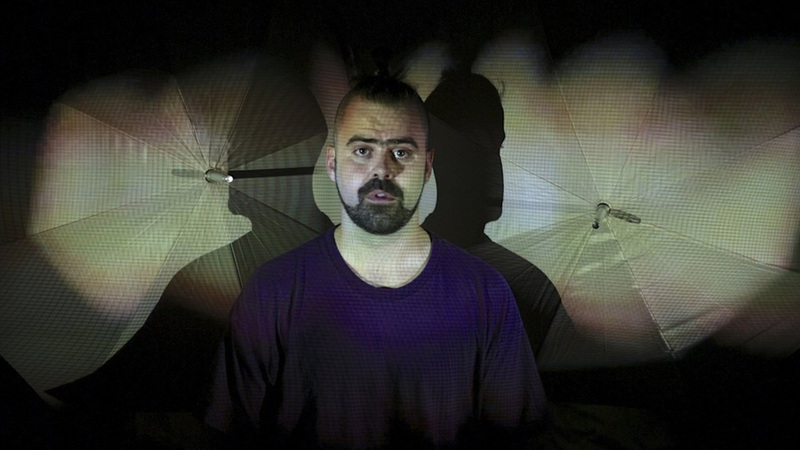 The ref­er­ence to theatre here clev­erly plays with the pin­nacles of tra­di­tion­al West­ern theatre and places them along­side pin­nacles of Hip Hop to dis­play the uncanny sim­il­ar­it­ies between them. Jonzi then began to con­duct the orches­tra, pla­cing his hands on his hat and shoulders to cre­ate a beat to rhyme on, ‘And you won­der why Hip Hop is attract­ing the youth’. The piece developed into a trio joined by the ever incred­ible sign­er Jac­qui Beck­ford and Bonet­ics, who showed his ver­sat­il­ity by embody­ing Jonzi’s clev­er word play and Son­ic Orchestra’s infec­tious beats. It had a sense of fam­ily and unity, which per­meated the second half. The Ruggeds hail­ing from the Neth­er­lands provided an awe­some dis­play of humor, syn­chron­icity and mas­ter­ful phys­ic­al­ity. Each mem­ber moved with a con­fid­ence and clar­ity only achieved through metic­u­lous ded­ic­a­tion to the craft and cul­ture. In parts, the cho­reo­graphy, appeared as though anim­a­tion on the stage, like we were rap­idly turn­ing the pages of a flip­book. Enter­tain­ing and squeaky clean, this crew brought such pleas­ure to the main stage. French show stop­per Mufasa, like Bonet­ics, graced the stage again a sul­try duet with sing­er and cel­list Ayan­na Wit­ter-John­son. Mufasa stretched and oozed her limbs to every pluck of a string and impuls­ively caught and hung on every lyr­ic gor­geously sung by Wit­ter-John­son. The per­fect pair and note­worthy ingredi­ent to the second half. Finally, the first fam­ily of UK Hip Hop, Boy Blue enter­tain­ment, ended the incred­ible dis­play of artistry with a 30 strong house­hold of Hip Hop bounty killers. Not one mem­ber skipped a beat or floundered. The leg­acy of Boy Blue was cap­tured in its purest form. We were invited to party with the found­ing men and women that paved the way for UK Hip Hop as we know it today. The cho­reo­graphy was tri­bal, express­ive and time­less touch­ing on Afro, Dance­hall and Waack­ing, as well as recog­nis­able codi­fied Boy Blue grooves and com­bin­a­tions. The energy was elec­tric, the per­fect end­ing to a seam­less show. Once again Break­in Con­ven­tion has given us an event which smashes any pre­con­ceived agen­das of what Hip Hop cul­ture offers the world. It’s a priv­ilege to wit­ness a time in the cul­ture where the unavail­ab­il­ity of extraordin­ary bril­liance is becom­ing some­thing of the past. Break­in’ Con­ven­tion will con­tin­ue to bridge the gap between the élite and the street in order to provide Hip Hop its right to exist in theatre and any oth­er con­text it chooses to, without ques­tion of its great­ness or rel­ev­ance.